I love this story. It reminds me a little bit of Twin Peaks, the wonderful David Lynch TV series that sends evil to a small town in the form of some kind of strange, nebulous sexual impropriety. 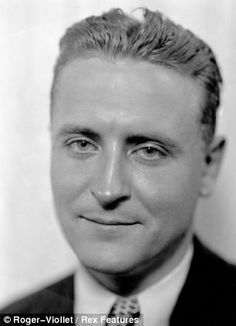 What is especially remarkable is the way Fitzgerald is able to take his essential template of ideas and setting – young men and women returning home to the Midwest from their elite East Coast colleges and settling back in to the local social games – and imbues it with a supernatural darkness not seen elsewhere in his work. I’m always impressed when a writer can create a completely new effect while retaining their essential voice and self. That’s what we have here – a literary ghost story of the Jazz Age. And that’s quite a trick on Fitzgerald’s part. Joe and Ellen faced each other silently; she seemed, as I have said, to be in a daze. It was cold, but she didn’t notice that her coat had blown open; Joe reached out and pulled it together, and automatically she clutched it with her hand. The man waited a moment, his eyes shifting and yet staring, and always seeing. Then he laughed again in the same way. Ellen stirred uneasily. “Who is this–this–” Joe’s voice trembled with annoyance. “Look out now,” said the man slowly.